The Paiste Signature Dry Heavy Ride Cymbal 22" is a Danny Carey signature ride made from proprietary signature bronze with a heavy gauge and medium long sustain. The Signature Dry Heavy Ride features a bright, metallic and full sound character with a wide range and clean mix. This cymbal delivers a pronounced ping over a controlled, dark, deep, and complex wash with a strong, musical, well separated bell. This is a very strong, cutting ride for articulate playing at elevated volume levels. 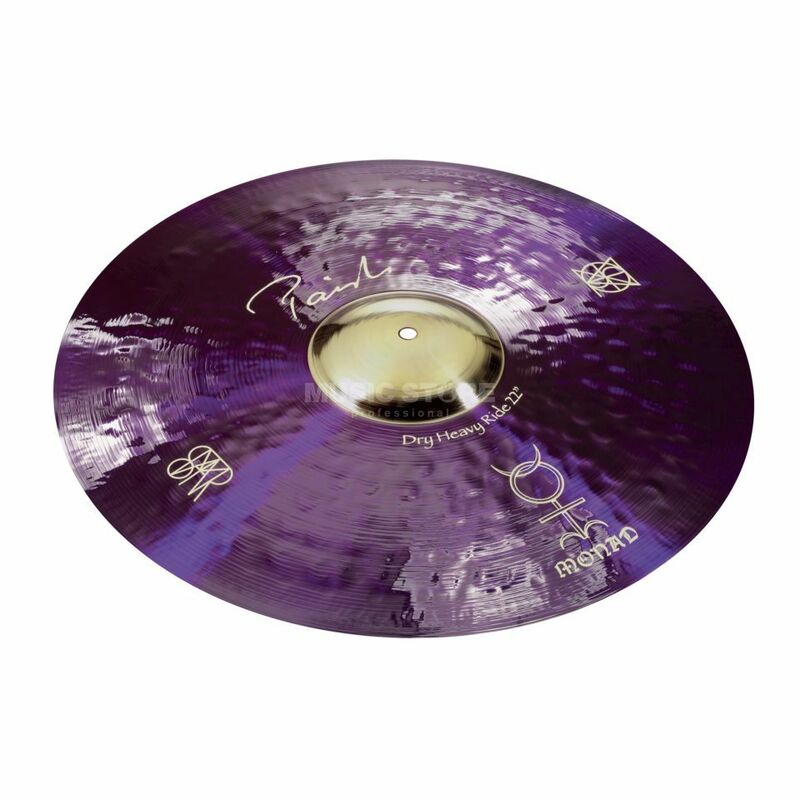 Danny Carey himself describes this cymbal as "beautiful and harmonic."